The Walton Trio is an exciting and dynamic new Trio. 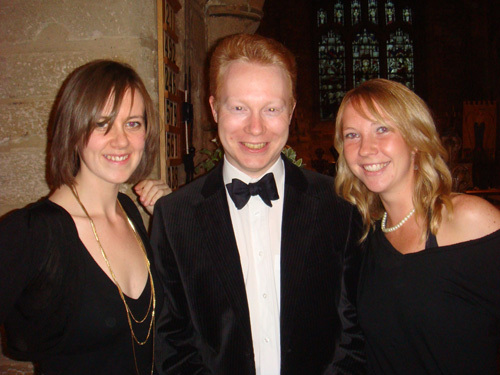 Alison Frances Gill ~ Piano, Rebecca Topping ~ Cello, and Michael Walton ~ Violin, all originally from Teesside, formed the Trio in 2009 after studying at the Royal Academy of Music, the Royal Welsh College of Music and Drama and the Royal College of Music respectively. We bring considerable experience as soloists and chamber musicians to the Trio and have been delighted to receive such a warm welcome from the public, as well as critical acclaim. If you wish to engage the Walton Trio, please contact me via my e-mail link below. Please see the Events page for details of our next performances.